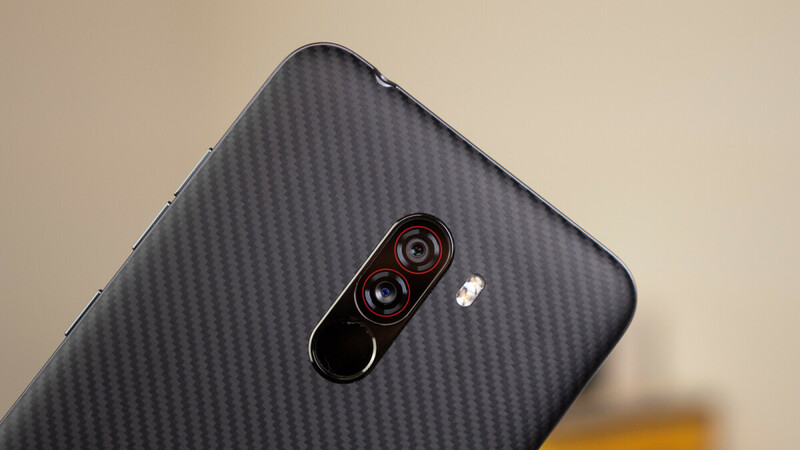 Looking around, there are only a couple of metal midrangers left and just two phones with flagship specs like Snapdragon 845 that come with unassuming but durable plastic or metal-and-plastic body - Xiaomi's Pocophone F1 and its OG Black Shark gaming phone. This is why we asked you last week if, a couple of years after their demise, you would buy a plastic flagship phone again. The question seemingly struck a nerve, as we've had 2223 respondents of whom almost 70% said they would. This should be a warning sign to all manufacturers pushing designs our throat that nobody asked for. Have you noticed something different in Samsung's Galaxy line phones since 2015? Yes, that's precisely the year after Samsung's current design chief was promoted, and what followed was the demise of its plasticky flagships and midrangers. The Galaxy S6-S9, not to mention the newer A-series or J-line, have all come with more premium chassis materials like metal and glass, culminating into the "Infinity Display" concept. Virtually all Android phone makers have now followed suit, too. It's not just premium design that phone companies are after with their glass-y casings, though. Wireless charging would heat metal bodies to ungodly heights, so, last year, Apple also moved to glass iPhones, just when it introduced wireless charging to the lineup. Glass looks premium and lets you top up your phone sans cables but it has just as many negatives - it is prone to cracking very easily when dropped, and is a fingerprint magnet. Thus, replacing a shattered rear now costs a pretty penny and is, in the case of iPhones, more expensive to repair than the screen itself. Would you buy a plastic flagship again? Plastic is more durable, it has the potential for more structural complexity, it's lighter, it does not block wireless charging, it does not have to be a fingerprint magnet ... and yeah, it's dirt cheap to replace. The only thing I can think of: Is there a difference in terms of waterproofing? I don't think so, but I am not sure. Plastic would lead me to believe in replaceable backs, which should equate to REPLACEABLE BATTERY. Dissipating heat, that would be really nice to compare what is worse. Is it glass? Is it plastic? My guess is worse is a glass, but that's just my guess, I do not have any test behind it. More plastic waste, that's what we need. But I totally agree with you besides the aforementioned thing. You are forgeting two things: a) Polution to make plastic vs glass cover b) Price to make plastic vs glass cover. You know even paper bag companies use instead of plastic needs more polution to be created. I am all for 100% green, but you have to still use your brain. Please bring back the plastics! I would, if it is done right. Plastic is fine on my Nexus 5X, solidly designed. It wasn't fine on my Galaxy S4, with plastic chipping off and the back panel feeling loose. Best plastics were nokia lumias and samsung S2,note3,4,lg v10 and now pocof1,nokia 7 plus,6.1. I have fond memories of the Lumia 920. That thing was a tank. I had it for 2 years, and replaced it with a Galaxy s5 which lasted about 6 months (S5 was a POS). The Lumia 930's design was awesome. Plastic phones can have waterproofing i guess. Virtually everyone that I see out and about keeps their thin glass phone in a thick plastic case. We've achieved the perfect world of 1/2" thick brick phones that simultaneously don't have room inside for a decent battery, headphone jack, etc. A Note 9 with a skin might be up your alley. Plastic phones scratch easier, but are generally more durable than the glass sandwiches we use today. It was tech blogs like this one that would throw shade on companies who made phones with plastic backs saying plastic is not a material for flagship phones.